This page is for people who already know some English, and can read a page like this written in basic English. It shows you how to organize your learning for maximum results. 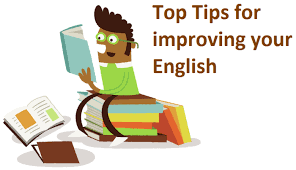 You may also want to read these 5 tips for learning English later. Before you begin, or go back to, studying English, ask youself one question. Why do I want to study English? Is it because you want to, or because someone else wants you to? Like every decision in life, studying English must be something you want to do. Record vocabulary in your "personal dictionary"
Keep this notebook separate from other work. Record vocabulary in alphabetical order (an English address book works well because it has letters of the alphabet). Record the part of speech (sometimes there is more than one). Write a sample sentence for yourself (don't use the one from the dictionary). Review your personal dictionary (especially new entries) every night before bed.